Health and wellness app, Carrot Rewards, has announced with Aeroplan they plan to extend their rewards partnership, in a new multi-year agreement. Currently, Carrot Rewards is supported in Ontario, British Columbia, Newfoundland and Labrador. But “very soon throughout the rest of Canada,” members will soon be able to join in on the app’s expansion, which is funded by partnerships with provincial governments. A promotion has launched today until July 31, 2018, to celebrate the partnership extension. Aeroplan says the first 10,000 new members can earn double the miles for downloading and registering for the Carrot Rewards app and selecting Aeroplan as their preference. 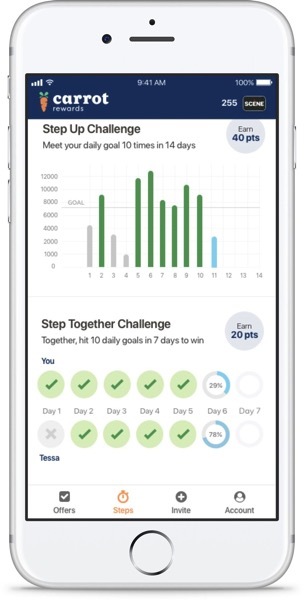 Also, the first 20,000 members who hit their step goals for five days in a row will also earn double the miles.